There are times when you don’t want floors in plan to be parametric to the surrounding walls. You don’t always want a floor to move it you move a wall. Create a room space with 3 enclosing walls (no wall on the forth side). Create a floor in the room using the “by line” method with the “pencil tool” or “pick line tool”. Now grab the north wall and move it. Notice how the entire floor follows the wall move. Try pinning the floor and move the same wall. The floor will still move. It didn’t expect this kind of behaviour. However if the floor edge is not on the wall centre line or wall edge, you won’t get this behaviour. 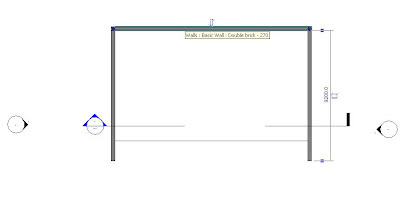 This problem has been fixed in Revit 2010.